Tobi Ann Baumgartner grew up with a deep appreciation for nature and beauty and feels that it can be found almost anywhere. Her photography and entrepeneurial training is from the SIAST campuses in Moose Jaw and Regina. The painting knowledge is self-taught and has been gained by experience, and is being extended daily. The frames are a product of her own imagination. She believes the way to really bring out a photograph is to bring it into the frame. The extension of lines and shapes are a touch of imagination. What better way to enhance a photograph than to mimic it with the frame! How does it go... Imitation is the sincerest form of flattery! The concept of painting the frame to extend the image of the photograph was and is completely Tobi's idea. Since April 2002, many people enjoy the fresh idea. With encouragement from a wonderful family and husband, Gerald, she has made it a part of her photographic business. Many of her Expressive Frames can be found in private collections. They have been known to travel to homes from Vancouver to Halifax. Tobi is very proud of her artwork, and some pieces are part of personal collections in the United States, England, France, Germany, Australia, Greece and Israel! The frame you see in the Palliative Care Unit in the Regina Pasqua Hospital is in memory of my sister, Kendra. The image is a lot like her, beautiful, incredible, irreplacable, unforgetable, and one of a kind. Frames can be purchased from the retail outlets listed on the Shows & Locations page. I will also be available at showings listed on the Where to Find Frames page. Tobi Ann Baumgartner was born and raised in Regina, Saskatchewan and now resides in Lorette Manitoba. 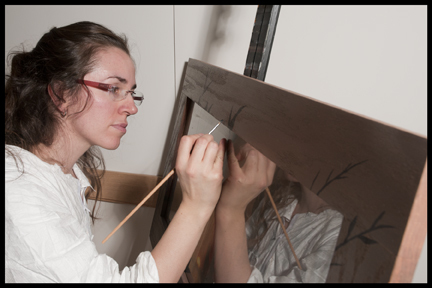 Tobi is a member of CARFAC Saskatchewan, The Rosemont Art Gallery, and a juried member of the Saskatchewan Craft Council. In Manitoba she is a member of the Arts Centre in Portage La Prairie, the Steinbach Arts Council, and the Eastern Manitoba Artists Cooperative. 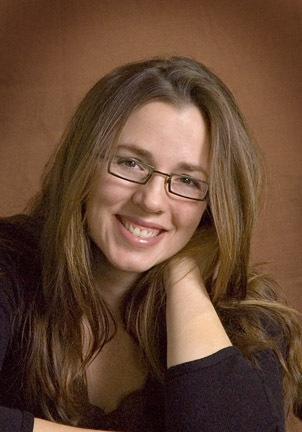 She is also an active Registered Professional Photographer of the Professional Photographers of Canada (PPOC). At work in the studio March 2011.